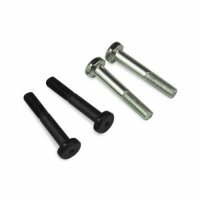 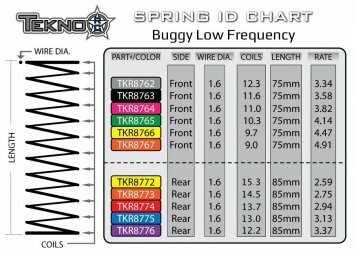 TKR8765 – LF Shock Spring Set (front, 1.6×10.3, 4.14lb/in, 75mm, green) – Tekno RC, LLC. 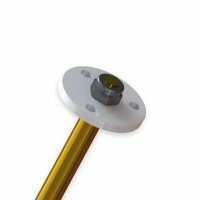 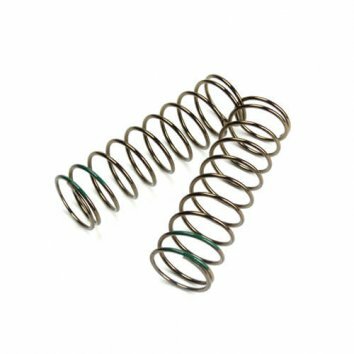 Our new low-frequency (LF) spring design improves traction by reducing chassis oscillation on rough track surfaces and large jump landings. 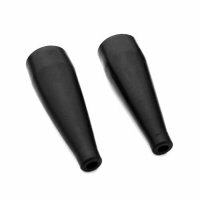 Overall stability of the vehicle is improved, providing better forward grip, increased corner speed and quicker lap times. With additional coils as well as a larger wire diameter, the new LF springs feature a bronze gunmetal finish with a color indicator for easy spring identification. 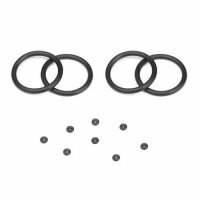 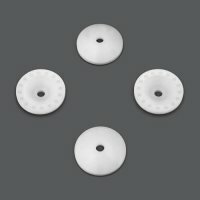 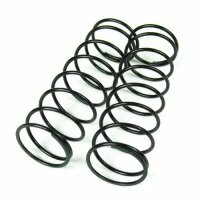 The springs fit all variants of the NB48 and EB48 vehicles and include two springs per package. 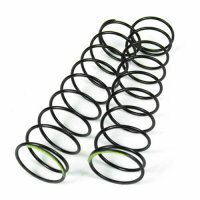 When deciding to try our new LF springs, we suggest starting with the same rate you are currently running or maybe one rate softer. 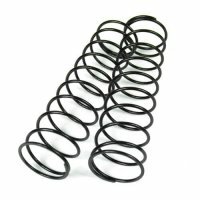 Compared to standard springs, our LF springs perform better in most conditions. 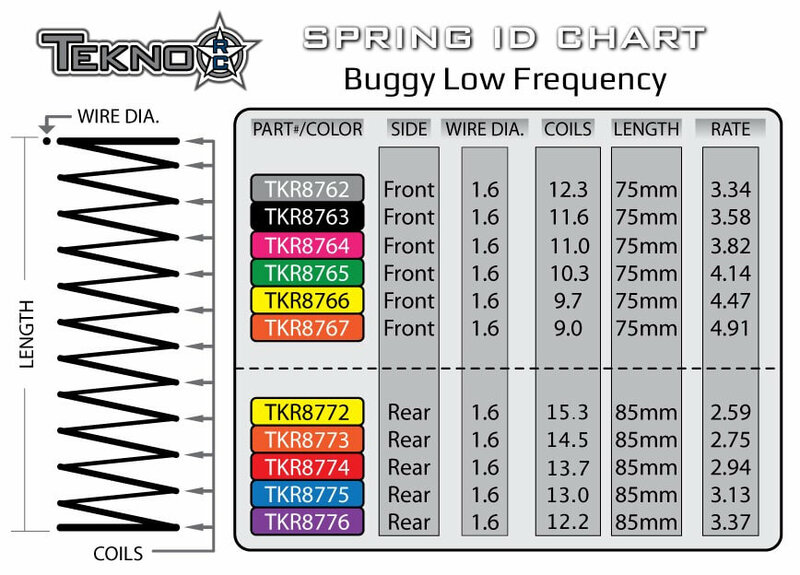 Use the chart below for track type/condition recommendations specific to this spring strength.